Insight by Diana Salman, HR Strategic Change Manager (IFP Group) and UFI NGL Grant recepient. In playing cards, the Joker is Wild. Being able to be anything the holder needs it to be, it makes any hand stronger. 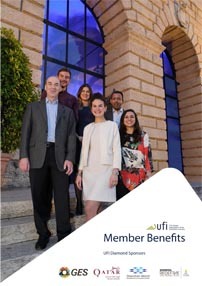 The Joker Program is UFI member IFP Group’s answer to moving their operations team seamlessly across their six offices in five countries as needed. Diana Salman, HR Strategic Change Manager for the company and 2017 #NGLGrant recipient shared how her company came up with the idea. IFP Group (International Fairs and Promotions) is a longtime trade fair and event organizer in the Middle East, having produced over 500 successful events to date. The company is headquartered in Lebanon with offices and operations in UAE, Qatar, Egypt, and Iraq. It produces an array of 70+ B2B and B2C exhibitions, conferences and specialized events annually serving many sectors across the Middle East and Africa. Higher overhead and cost of living in the other Stations (offices) than in Beirut. With two events on average per office, per year, there are usually three months out of the year that IFP Group’s operations personnel are less busy, but still contracted to work full time. Although the operations team members have the right skills and knowledge of event production in their own country, they still lacked this know-how and the contractor relationships in IFP’s countries of operation. As a result, it was hard to move operational resources from one show to another across the MENA region. IFP decided to educate and groom the operations team at a group level instead of station level, including basing them in the head office, closer to senior management, and reassigning them to other countries as the show date approaches. The goal is to have ready resources that are able to travel as needed to shows, have improved, closer supplier relationships and increase organizational flexibility. The way to achieve this goal is through knowledge transfer and management initiatives within the company. The program also provides team members with career paths that would promote them within the company and expose them to regional markets and big scale operations, while helping IFP in retaining junior and mid-level personnel. IFP Group plans to expand the Joker Program into their sales and project management departments. 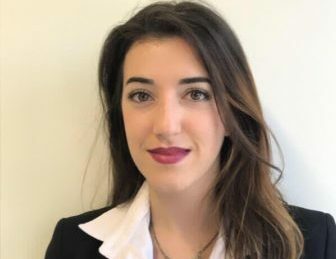 Meet Diana at the upcoming UFI Global Congress #ufijoburg, where she and her four fellow grant recepients will share thier view on the future of the exhibition industry. Interview by Stephanie Selesnick, President of International Trade Information, Inc.